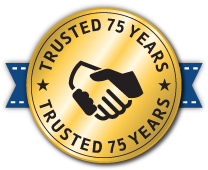 Our commercial sewer and drain cleaning services are well-known throughout Minneapolis, St. Paul, and all around the Twin Cities. We help commercial establishments ensure they save money by preventing issues or catching them on time as opposed to a problem coming about and causing more expensive pipe and property repairs. If you are a commercial establishment without a plan in place to ensure the health of your drain and sewer systems, S.O.S. drain and cleaning services is there to help you. We offer same-day service and 24/7 emergency services so we can help you ensure your drains and sewer lines remain in good working order. 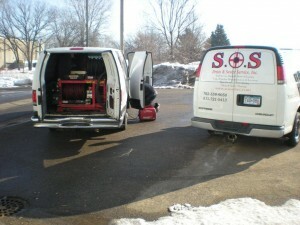 We are your full-service Minneapolis & St. Paul drain and sewer cleaning company. If it needs to be taken care of, we can take care of it quickly and in the most effective way possible. Having a preventative maintenance plan is very important because these plans are designed to prevent large issues that can cost you a great deal of money in the future. Your operating costs are cut when you utilize one of our productive programs. This keeps you from having to pay costly repairs and damages to your property. You also minimize any future downtime. How this works is we inspect your drains and sewer lines. This will help us see what your systems are like so we can create a customized maintenance plan that works just for your system. Since no two drain or sewer systems are alike, it is important that we use a custom plan because there really is no “one size fits all” maintenance program, especially when you have S.O.S. working for you. When your commercial drain or sewer is clogged, the end result could be serious and expensive. That is why S.O.S. Drain & Sewer Cleaning Services offers 24/7 emergency services and same-day service so that you don’t have to deal with the expense or the inconvenience. To learn more about our services and/or schedule a free estimate, call us at our Anoka office at 763-413-4720, our St. Paul office at 651-645-8383, our Bloomington office at 952-835-7677, or our Minnetonka office at 763-559-9050.